NOTE: Please fill in the information below to create an account for shopping in Pitney Bowes India Webshop. If you have completed this information before please login at the login page. PLEASE READ THE FOLLOWING WEBSITE USE AND PRODUCT PURCHASE TERMS AND CONDITIONS (“Terms & Conditions”) CAREFULLY BEFORE USING THIS WEBSITE ("Site"). THE SITE MEANS IS PB’S WEB STORE AT THE FOLLOWING WEB ADDRESS AND URL: [https://www.pitneybowesdirect.co.in] (“PB Web Store”). USING THIS SITE INDICATES THAT YOU HAVE READ AND ACCEPT THESE TERMS & CONDITIONS. IF YOU DO NOT AGREE OR ACCEPT THESE TERMS & CONDITIONS, YOU ARE NOT AUTHORIZED TO USE THIS SITE. If you continue to access, use or otherwise transact on this Site, you will be deemed to have read, understood and agreed to these Terms & Conditions, Return Policy and Privacy Statement. If you are accessing, using or otherwise transacting this Site through a proxy, you will be deemed to have read, understood and agreed to these Terms & Conditions, Return Policy and Privacy Statement before authorizing a proxy to enter this Site on your behalf. These Terms & Conditions govern your use of the Site and any content (such as text, data, information, software, graphics, or photographs) that we may make available through this Site. In addition, when you use the PB Web Store services, you may be subject to the rules, guidelines, policies, other terms and conditions applicable to such services which are incorporated by reference. We reserve the right to change the products or services provided through this PB Web Store and/or these Terms & Conditions. Any changes to these Terms & Conditions may be made without any notice to users and will be effective immediately upon posting on the Site, so please be sure to review them on regular intervals. We retain the right to deny access to anyone who we believe has violated these Terms & Conditions. “PB”, “We” and similar expressions, refer to Pitney Bowes India Private Limited. “You”, and similar expressions, refer to you, our customer visiting the Site and/or submitting a proposal to purchase goods to us on this Site or through our customer service agents. You acknowledge that these Terms & Conditions are supported by reasonable and valuable consideration, the receipt and adequacy of which is hereby acknowledged by you. The information provided through the Site, including any products or services are intended to educate and inform you about the products and services that are offered by PB. The Site is owned and operated by PB in conjunction with others pursuant to its contractual arrangements, and the products and services (and any intellectual property and other rights relating thereto) are and will remain the property of PB and its licensors and suppliers. The products and the selection, compilation, collection, arrangement and assembly thereof are protected by Indian and International Copyright, Trademark and other laws, and you acknowledge that these rights are valid and enforceable in favour and against you. We may change or remove the products or their features at any time, in any way, for any or no reason. The trademarks, logos and service marks displayed on the Site are the registered and unregistered trademarks of PB and its licensors and suppliers. This PB Web Store is provided on "as is" and "with all faults" basis and the entire risk as to the quality and performance of this Site is with you. We expressly disclaim all warranties of any kind, whether express, implied, or statutory, with respect to the Site (including, but not limited to, any implied or statutory warranties of merchantability, fitness for a particular use or purpose, title, and non-infringement of intellectual property rights). Without limiting the generality of the foregoing, we make no warranty that the Site will meet your requirements or that the functioning of the Site will be uninterrupted, timely, secure, or error free or that defects in the Site will be corrected. We make no warranty as to the results that may be obtained from the use of this Site or as to the accuracy or reliability of any information obtained through this Site. No advice or information, whether oral or written, obtained by you through this Site or from PB, its parents, subsidiaries, or other affiliated companies, or its suppliers, if any, (or the respective officers, directors, employees, or agents of any such entities) shall create any warranty. This PB Web Store is developed, maintained and updated by PB. The process of payment authorization and receipt, if any, order acceptance and fulfillment, and other physical portions of a transaction are managed directly by PB. In no event shall PB, its affiliates, directors, officers, agents, consultants or employees etc., be liable for any purchases made through the Web Store. You hereby, to the fullest extent permissible, waive any and all claims that you may have against PB and its representatives arising as a result of or in relation to the PB Web Store or purchases made through the PB Web Store including, inter-alia, claims relating to payment and delivery of the products and services. your purchase proposal does not contain any information that you consider confidential, proprietary, or personal. We may collect personal information from or about you in connection with our dealings with you such as name, contact information, billing address, mailing address etc. voluntarily submitted by you as “User”. We may also obtain personal credit reports about you for the purpose of assessing your credit application, and we may exchange your personal information with other credit agencies in case of default by you. We will at all times abide by the Information Technology Act, 2000 and the Information Technology (Reasonable Security Practices and Procedures and Sensitive Personal Data or Information) Rules, 2011 as amended from time to time, in handling personal information about you, your business or your directors. We may transfer personal information to other companies within the Pitney Bowes group, to credit rating agencies, subcontractors, and other third parties engaged by us to carry out services on our behalf, or otherwise in accordance with our legitimate business needs. 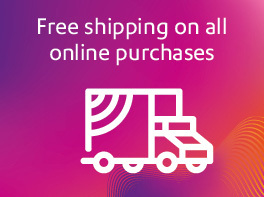 We may also use your personal information to send details of other Pitney Bowes products and services which may be of interest to you. If you use this Web Store, you are responsible for maintaining the confidentiality of your account and password, if any, and for restricting access to your computer to prevent unauthorized access to your account. You, by logging in or using this Site agree to accept responsibility for all activities that occur under your account and password. You should take all necessary steps to ensure that the password is kept confidential and secured and should inform us immediately if you have any reason to believe that your password has become known to anyone else, or if the password is being, or is likely to be, used in an unauthorized manner. Please ensure that the details you provide us with are correct and complete and inform us immediately of any changes to the information that you provided while registering with us on this website. For more information on privacy, please see our Privacy Statement at: www.pitneybowes.com/in/legal-statement/privacy-statement.html. We make all reasonable endeavours to ensure that all information provided on this Site is accurate, up-to-date and complete. However, the information and materials on this Site may contain errors or inaccuracies, including both typographical and substantive errors. You must make your own assessment of any information or materials provided on this Site and rely on it wholly at your own risk. We reserve the right, in our sole discretion, without any obligation and without any notice to you, to discontinue, change, improve or correct information, materials and descriptions on this Site and to suspend or deny access to this Site for scheduled or unscheduled maintenance, upgrades, improvements or corrections. Any dated information is published as of its date only, and we have no responsibility to update or amend any such information. In return for us agreeing to consider your purchase proposal that you place on the Site, you agree that these Terms & Conditions apply if we do accept your purchase proposal or if we do supply you with the goods or services (whether for cash or on credit). An accepted purchase proposal is non-cancellable. We are not obliged to accept any purchase proposal from you that you place on the Site, however if you do place a purchase proposal on the Site, then it becomes binding from the moment you submit the purchase proposal. We will communicate with you about your purchase proposal and the purchased product through any of the mode using email, SMS and/or telephone. You are requested to provide valid physical address, email address and telephone and/or mobile number while registering. When you visit the Site or send e-mails to PB, you are communicating with PB electronically. We may respond to you by e-mail or by posting notices on the Site. You agree that all such notices, disclosures, and other communications that PB provides to you electronically satisfy any legal requirement that such communications be in writing. Please note that the prices and fees shown on this Web Store are stated exclusive of Goods and Services Tax (“GST”) which is to be borne by you unless stated otherwise on this Web Store. We may increase any agreed price or fee after we accept a purchase proposal, to cover the full amount of any increase in GST, charges or other duties and stamp duty which we incur in connection with a transaction after the date of acceptance of your purchase proposal, together with any fine, penalty or interest payable because of your default after the date of your purchase proposal. There are multiple options for you to make payment for the products or services covered under your purchase proposal. You may pay via online transfer, real time gross settlement (‘RTGS’), cheque or via credit on 30 day terms. We will notify you on these options upon you submitting a purchase proposal. We generally deliver products India-wide using standard courier tie-ups, however, we reserve the right to use any other courier/delivery organisations at our discretion from time to time. Delivery fees as mentioned in the order summary would be applicable. Based on government policies, GST may be charged over and above the delivery fee. Shipping times are estimated between seven (7)-ten (10) business days depending on your location in India and subject to stock availability at that point of time. Delivery times are estimates only and we are not liable for any delays in delivery. If you request special shipping or handling including without limitation, expedited shipment, third-party billing, or freight collect, you shall bear all risk of loss and damage to the goods in transit and would be responsible for filing claims with the carrier and all freight and handling costs will be borne by you. In the event that the ordered product is not available, or we are unable to fulfill your order, we will endeavour to notify you within 24 hours to arrange an agreeable alternative item or a backorder. If there is any other issue with the order such as incomplete address for delivery provided by you, such orders will be processed only after resolving the issues. The courier will make two attempts to deliver the goods in a span of 3 days. If the premises are locked or if the nominated recipients are not available, it will be treated as undeliverable and the courier will initiate return of goods to PB. If such returned goods are to be redelivered without order cancellation, we will charge an additional 2% of the cost of goods towards the freight cost. However, if cancelled, cancellation charges of 5% of cost of goods will also be charged additionally. If you are accessing, using or otherwise transacting on this Site from outside India, the products referred to in this Site may not be available for your country. The information and references to products on the Site do not imply that we intend to make available such products in your country. If in doubt, please contact us for more information. You shall examine all the goods upon receipt and shall notify us immediately of all discrepancies. Such notice shall be reasonably detailed, specifying the discrepancy or reason for rejection and should be noted on the transit document. Please note that any failure to give such notice within the time specified herein shall be deemed as an acceptance of the goods as of the date of shipment. We shall not be held liable for any failure and/or delay on our part in performing any of our obligations and/or for any loss, damage, costs, charges and expenses incurred and/or suffered by the Users by reason thereof if such failure and/or delay shall be result of or arising out of Force Majeure Event set out herein. "Force Majeure Event" means any event due to any cause beyond our reasonable control and/or of our service providers, including without limitation, unavailability of any communication system, stock shortages, sabotage, fire, flood, earthquake, explosion, acts of God, civil commotion, accidents, strikes, lockout, and/or industrial action of any kind, breakdown of transportation facilities, riots, insurrection, hostilities whether war be declared or not, acts of government, governmental orders or restrictions breakdown and/or hacking of this Web Store. This condition also applies if something happens beyond our reasonable control which makes it impossible, more difficult or more expensive for us to perform our obligations in our usual way. In those cases, we may wait until it is again possible for us to perform our obligations in our usual way without additional difficulty or expense and we are not liable for any delay which results. We shall repair or, at our option, make a replacement available to you for any new product supplied by us if there is any manufacturing defect in material or workmanship within 30 days from the date of purchase. Except to the extent permitted by law, we choose whether to repair or replace, and that is the limit of our liability under this warranty. This warranty does not cover any damage caused by the use of other than genuine Pitney Bowes parts or Consumable Supplies (as defined in clause 25 below). We will only recognize a claim under this warranty if you give due notice to us in writing within 30 days from the date of purchase of the product procured through the Site, whether it is new or refurbished. The notice must state the warranty under which you are claiming and what has happened that triggers the warranty. You must bear the costs of making the claim. Your rights under this warranty are in addition to all your other rights and remedies under law. Any costs incurred by you in substituting the defective product (including investigation and location of the defective product and costs of any kind incurred in carrying out the substitution), are to be borne by you. Also, our obligations are subject to other trading conditions as mentioned in these Terms & Conditions. All conditions, terms and warranties that are or might otherwise be implied by law, practice, trade usage or international convention, are excluded to the fullest extent permitted by law. We offer our products by specification. You decide what purpose to use them for and you alone are responsible for determining your technical requirements. Also, you alone are responsible for determining whether any product we supply is fit and suitable for your purpose. Any performance figures we provide are approximations and only for general guidance: a particular performance figure, even after allowing an approximation tolerance, may not be obtainable continuously or in all circumstances. Dimensions and specifications are all subject to tolerances and may be a little more or less and are also subject to minor variations between similar items. We are not supplying any service or advice of any nature. The provisions of this clause 15 apply despite any comment or representation made or implied by us. We intend that you do not rely on any advice from or representation by us unless made in writing and signed by one of our directors. In relation to any order, you may not rely on any prior agreement, representation or negotiation by us, our agents or any third party unless made in writing and signed by one of our directors. We rely on the warranties from you under these Terms & Conditions as essential conditions. You do not rely on any representation made or implied by us or arising out of or implied by our conduct, nor upon any description, illustration or specification contained in any document produced by us, including any catalogue or publicity material. To the extent that we have made or implied, or by conduct given rise to or implied, any representation that is not expressly stated in these Terms & Conditions, you are not proceeding in reliance on the representation because you have had and taken the opportunity to independently check and form your own view about the significance, and the accuracy or otherwise, of the representation. Without limitation, you acknowledge that you are not relying on being able to make any claim against us, for any representation made or conduct occurring before, under or in connection with any order, beyond the claims that can be made, and the limits applying, as provided in these Terms & Conditions. Certain products have their own specific governing terms and conditions which shall apply in addition to these Terms & Conditions. It is important that you read these specific terms and conditions which are applicable to these certain products and services as they may contain exclusions of limitations of liability and other terms and conditions, including restrictions on amendment or cancellation. Some of these terms and conditions for specific products and services shall include terms and conditions found on your screens and when using any part of this Site. In the event of any inconsistency between the terms and conditions for a specific product and these Terms & Conditions, the terms and conditions for the specific product shall prevail in relation to that specific product or service. Provisions of the laws governing Competition Policy and Consumer Protection and any other relevant statutes in some cases either cannot be excluded, restricted or modified. If any provisions of those types do apply, then to the extent permitted by law, our liability under those provisions is limited as follows. Our liability in relation to goods is limited at our option to replacement of the goods or the supply of equivalent goods; or repair of the goods; or payment of the cost of replacing the goods or of acquiring equivalent goods; or payment of the cost of having the goods repaired. Our liability in relation to services is limited at our option to the supplying of the services again; or the payment of the cost of having the services supplied again. We do not seek to exclude our legal liability (if any) for any death or personal injury, or for any reduction in the value of physical property (things that can be touched), which is caused by our negligence (accidental lack of care). However, even where we are liable for death or personal injury or for the reduction in value of physical property, the following limits apply. We are not liable for any associated Consequential Damage (as defined in clause 20 of these Terms & Conditions). Also, we are not liable to the extent that something was caused or contributed to or by your negligence or by the negligence of your contractors or agents or of any third party. Except as stated above, we are not liable for, and you do not rely on being able to claim against us for any loss, claim, damage, or any special, exemplary, punitive, indirect, incidental or Consequential Damage under or in relation to any agreement for us to supply goods, services, firmware or software or anything done or omitted in that regard or for that purpose, or in relation to any representation or conduct before, under or in respect of any order, and whether or not the possibility or potential extent of the loss, claim, damage, or any special, exemplary, punitive, indirect, incidental or Consequential Damage was known or foreseeable and whether in contract or for negligence or any other tort or for breach of statutory, fiduciary or other duty (if any) and whether or not the act or conduct was authorised or required. “Consequential Damage” in these conditions includes loss of use, lost production, lost income or profits, loss of opportunity, lost savings, increased or wasted expenses, delay or lost time, loss of or damage to goodwill, increased operating costs, wasted or increased financing costs, loss of or damage to data or records, loss of or unavailability of or damage to tangible or intangible property, claims made against you by others, losses or costs or expenses associated with identification, investigation, assessment, repair, replacement or servicing and any other economic loss or damage and any other special, indirect or consequential loss or damage. Subject to clauses 19 and 20, our total aggregate liability to you shall in no event exceed the amount of consideration that you have paid us with respect to the products at issue. We supply any firmware or software which comes with goods, and any additional software specified on the proposal form, under licence only. That licence is non-exclusive but perpetual and only allows use of the particular firmware and software with the goods with which it is supplied. You must not modify, reverse engineer, decompile, disassemble, create derivative works based on, sublicense, transfer or distribute the software or accompanying documentation. We reserve the right to vary the specifications or performance criteria of any product from time to time and to obtain products from different sources, at our absolute discretion. We make reasonable efforts to ensure the availability of spare parts for any particular product type for about three (3) years from the first time it is or was supplied to a customer when it was new. Where spare parts are available, our ruling rates at the time will apply. We will not recognise any claim for a shortage in delivery or for any item being delivered in a damaged state if the claim is not made within seven (7) days of delivery. When you sign any delivery or consignment note or similar document on receipt of a delivery, that is conclusive evidence that you received the delivery without any shortage or damage that would have been visible on taking delivery without unpacking the goods. You carry all risk of goods in transit where you arrange for carriage. You do not have the automatic right to cancel an order or to return any goods for credit. This provision does not limit our warranty or the provisions of clause 19. However, for purchases of Consumable Supplies, we may at our discretion agree to you cancelling an order or returning the supplies. In that case you must pay a cancellation/re-stocking fee of 20% of the amount invoiced or that would be invoiced. We will only give you credit for goods that are returned in original condition, packaging and configuration. In these Terms & Conditions, “Consumable Supplies” means the range of items that we designate from time to time, including without limitation paper, envelopes, labels, ink and toner. We will not agree to any request to cancel an order for equipment or software. If you wrongly cancel or purport to cancel an order then the damages that you have to pay to us may equal the full amount of the agreed purchase price, plus an additional cancellation/ re-stocking fee of 25% of the price in the case of Consumable Supplies, or an additional cancellation / compensation fee of 100% of the purchase price in the case of equipment and/or software. You may refer to the products supplied by us by their associated names, including associated trademarks and logos, only if such reference is not misleading nor prejudicial in any way to us or our intellectual property rights. You may not remove or alter any serial numbers, trademarks or other markings or get-up, nor may you co-brand or co-logo any products provided by us. You do not acquire any right to any of our intellectual property rights. You must not incorporate any of our trademarks into your trademarks, company names, internet addresses, domain names, or any other designations. All material on this Site is protected by copyright under the laws of India and, through international treaties, in other countries. Unless otherwise indicated, we reserve all copyright in the content and design of this Site. We own all such copyright or use it under licence or applicable law. You may make a temporary copy of part or all of this Site on your local computer for the sole purpose of viewing it, and print a single hard copy of a whole page of this Site for personal use, provided that any copyright notice on such page is not removed and the material is appropriately attributed to PB. You may not, in any form, or by any means (a) otherwise reproduce, adapt, store in a retrieval system, transmit, print, display, perform, publish or create derivative works from any part of the content or design of this Site; (b) cause any of the material to be framed or embedded in another website, or (c) commercialize any information, products or services on this Site, except with our prior written consent or as permitted by applicable copyright legislation. The ‘Pitney Bowes’ trademark and the names of Pitney Bowes’s products and services referenced within this Site are trademarks or registered trademarks of Pitney Bowes Inc., USA or a Pitney Bowes group company. Any un-authorized use of any of the trademarks is strictly prohibited. We respect the intellectual property of others. If you believe that copyrighted materials have been copied in a way that constitutes copyright infringement, please send an email or written notice to us/ our designated agent for notices of infringement and provide the following: (i) identification of the copyrighted work(s) that you claim has been infringed and that you are the copyright owner or authorised to act on the copyright owner’s behalf; (ii) a description of the material that you claim is infringing and the location of the material on the Site; (iii) your address, telephone number and email address. Our address/ address of our designated agent is D-7/3, Okhla Industrial Estate, Phase II, New Delhi -110020. The above contact information is provided exclusively for notifying PB that copyrighted material may have been infringed. Any other inquiries will not receive a response through this process and should be directed to our customer service group by email. We may use your name in promotional materials, including press releases, presentations and customer references regarding the sale of any goods. You give us that permission free of charge for worldwide use in any medium. However, we will obtain your prior approval for publicity that contains quotes or endorsements attributed to you. We may, and you must not, assign any part of the whole of any right or benefit of any contract we have with you. We may choose to use one or more subcontractors to fulfil our obligations under any contract we have with you. Our failure to exercise or enforce any one or more of our rights under these Terms & Conditions and/or under the Legal Notices will not constitute a waiver of such rights unless such waiver is granted to you by PB in writing. These Terms & Conditions can only be varied by one of our authorised officers signing a document which states the variation, and the transaction to which the variation applies. We may apply any payment we receive from you or on your behalf, to and between any debt you owe to us or against any account you have with us. You agree to defend, indemnify, and hold PB, its affiliates and their respective directors, officers, employees and agents harmless from and against any and all claims, losses, liabilities, damages and expenses (including legal fees) arising out of your use of this Site. This Site provides listings of a wide range of Pitney Bowes products and therefore may contain references or cross references to particular products and services that are not readily available in India. Any such reference does not imply that PB intends to market such products or services in India. All actions resulting from a search of this data must be related to solutions using only products and services announced by Pitney Bowes in any particular country. In particular Pitney Bowes makes no claim for the accuracy of product information on this Site with regard to any country outside India. PB does not represent that it holds the authorisations and approvals required to provide advice and services in all jurisdictions where the material on this Site may be viewed or received (including in particular software that may have restrictions on the importation or exportation from certain jurisdictions). You must ensure that your access to and use of this Site is not illegal or prohibited by laws which apply to you or in your location. You shall comply with all the applicable laws [including without limitation Foreign Exchange Management Act, 1999 and the rules made and notifications issued there under and the Exchange Control Manual as may be issued by Reserve Bank of India from time to time, Customs Act, Information and Technology Act, 2000 as amended by the Information Technology (Amendment) Act 2008, Prevention of Money Laundering Act, 2002 and the rules made there under, Foreign Contribution Regulation Act, 1976 and the rules made there under, Income Tax Act, 1961 and the rules made there under, Export Import Policy of government of India] applicable to you for using this Site and payment facility. Our agreement with you, including these Terms & Conditions, its performance and all disputes arising out of or in connection with this, is governed by and is to be interpreted according to the laws in force in India and subject to the jurisdiction of competent courts in India. These Terms & Conditions have overriding effect and prevail even if they are inconsistent with anything in any earlier or later purchase proposal or similar document.